This entry was posted in Compassion International, Guatemala and tagged boys, Compassion, guapo, Guatemala. How fun is that? I bet they’ll remember always that you called them handsome! Thank you for writing so beautifully about your trip to Guatemala to visit your sponsored child, and also for the plethora of pictures. I have been sponsoring 2 little boys through Compassion for more than 7 years now, one in Bolivia and one in El Salvador; but I am very interested in learning more about Guatemala, because I am the children’s ministry leader at a Hispanic church plant in a neighborhood composed largely of Guatemalan and Mexican immigrants. I have been having a difficult time learning much about where they’ve come from since I can’t talk to the parents (I know very little Spanish, but many of the parents speak tribal languages, rather than Spanish, anyway….as you’ve referenced in some of your posts). I am grateful for the small glimpse into the world they’ve left behind. I see that you also homeschool. Do each of your children have a corresponding Compassion child? 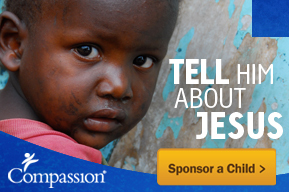 Was this your first trip with Compassion? Hi, Brooke – thanks for your comment! Your role as ministry leader sounds awesome! I’ve been on two trips with Compassion: Nicaragua and Guatemala. The people I met in both countries were wonderful, warm and caring, and very hospitable. It was very difficult communicating with the children who didn’t speak Spanish, but playing looks the same in any language. I can see the challenge you are facing, though, trying to speak to parents who aren’t speaking Spanish, either. I have a few more posts in mind about the Guatemala trip, and hope to get to those in the coming weeks. We do homeschool, and of my six children, a few are very interested in Compassion, and a few aren’t right now. My son Logan, who went to Guatemala with me, sponsors his own child. My daughter enjoys making birthday cards for our kids, and sometimes includes little notes to a couple of the girls we sponsor. My youngest two sons sometimes draw pictures to send, but I think they’ll become more involved as they get older. They both want a turn going on a Compassion tour with me!